So far this year around SW Virginia the Fall vegetation colors are not as spectacular as they have been in prior years. Maybe it’s still a bit early, but the weather experts around here report that the windy and wet weather we have been having for the past several weeks is not helping. One of my favorite photographic vistas is adjacent to the Army Corps of Engineers Visitor’s Center which overlooks Philpott Lake, a Corps managed reservoir which is a very popular recreational area for people from all over the United States. 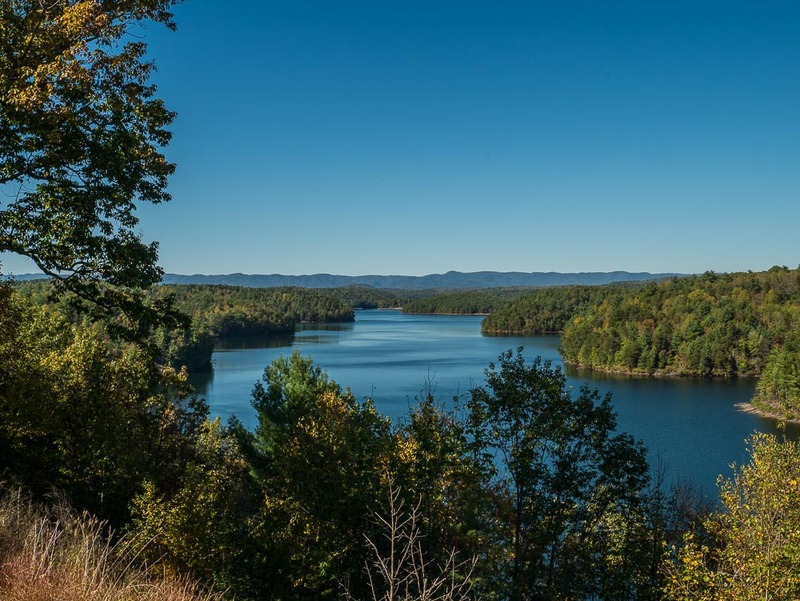 The photo I made last weekend on a very clear day shows the lower elevations of the Blue Ridge Mountains in the background, with a portion of the 100-mile shoreline lake spreading out below. This area is perhaps one of the most scenic areas around our home and thus a popular place for me to visit. I intend to travel up to higher elevations this coming weekend to see what I can find. In the meantime, enjoy this view. Our colors are late in coming and low intensity, here in the Missouri Ozark’s.